Wemi Opakunle and Winnie Opakunle at Flaunt Magazine X Ben Sherman Event in Hollywood. It was a night of secrets, good food and a British invasion. Thanks to the English fashion brand, Ben Sherman and Flaunt Magazine, fashion enthusiasts gathered at Mama Shelter in Hollywood to experience a night of northern soul as well as a celebration of spring fashion. A spread of delicious hors d’oeuvres kept the crowd munching as specialty British cocktails flowed. DJ Rene kept everyone who wasn’t busy snapping selfies entertained. 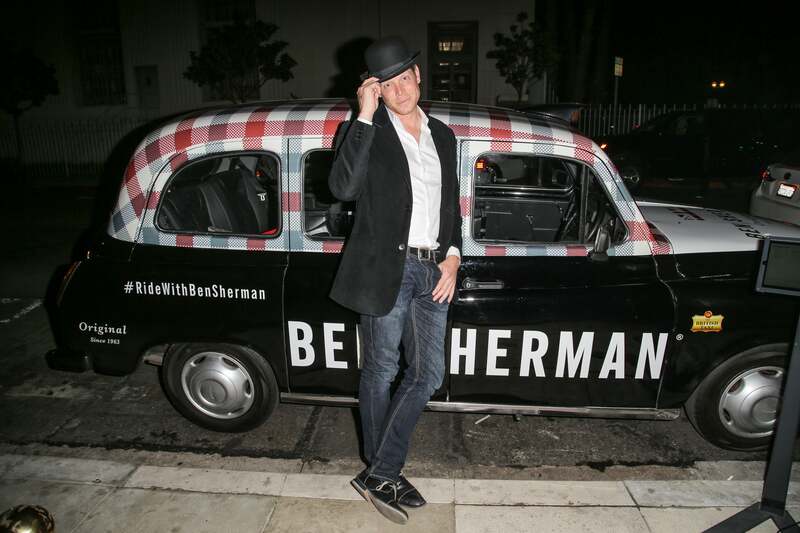 Scandal’s Brian Letscher caught a ride with Ben Sherman. Notable: The event hosted a one-of-a-kind photo booth that took place inside a real British cabbie completely decked out in Ben Sherman. Guests were able to catch a #RideWithBenSherman in the back seat for a unique selfie experience.